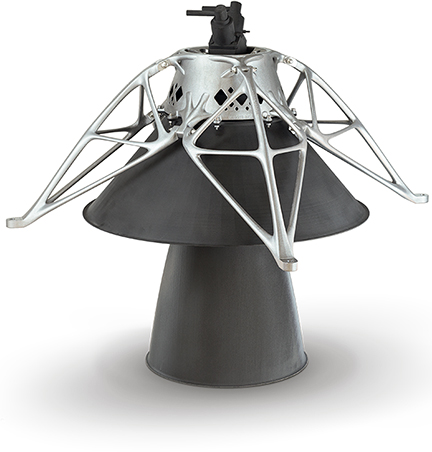 A 3D engine mount from RUAG Space will be the first 3D printed part on the moon — the lunar lander of the private Israeli company SpaceIL is scheduled for launch on February 18 and the spacecraft will use a 3D printed aluminum structure developed by RUAG Space for its main engine. The 3D printed bracket from RUAG Space is holding the engine of the lunar lander. The image is courtesy of RUAG Space and SpaceIL. RUAG Space is a pioneer in offering 3D Printing solutions to space. Since 2014, RUAG Space has developed space components based on Additive Manufacturing (3D Printing) technology. RUAG Space designed the part and qualified it for space. For the production of the 3D printed structure, RUAG Space contracted U.S. Company MORF3D, a leader in Additive Manufacturing solutions for the Aerospace industry. 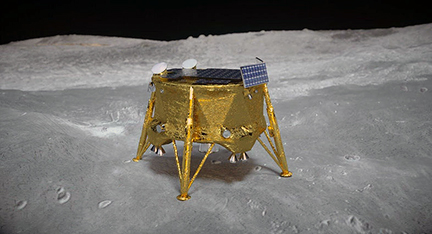 SpaceIL’s mission would represent the first non-governmental landing on the moon. The launch will take place mid-February and the moon landing will be at the end of a two-month journey in space, after the launch. After landing on the lunar surface, the spacecraft would send back photos and videos as well as data about the moon’s magnetic field. 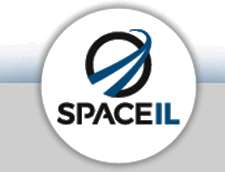 Artistic rendition of the spacecraft is courtesy of SpaceIL. Peter Guggenbach, CEO, RUAG Space, said that the company's 3D part will support landing and lift off of the spacecraft on the moon. With 3D Printing, customers profit from a quicker and more cost-efficiently production. Compared to conventional processes, 3D Printing offers a host of benefits and enables the production of lighter metal or plastic components. 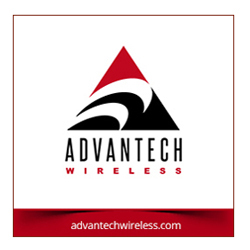 Weight reduction is a decisive factor in the space industry, the lighter the satellite, the lower the costs. Every kilogram less saves money, as less energy is needed for sending the satellite into orbit. Apart from lighter parts 3D Printing also allows, to produce geometries that provide higher performance at a lower mass compared to conventional production means.